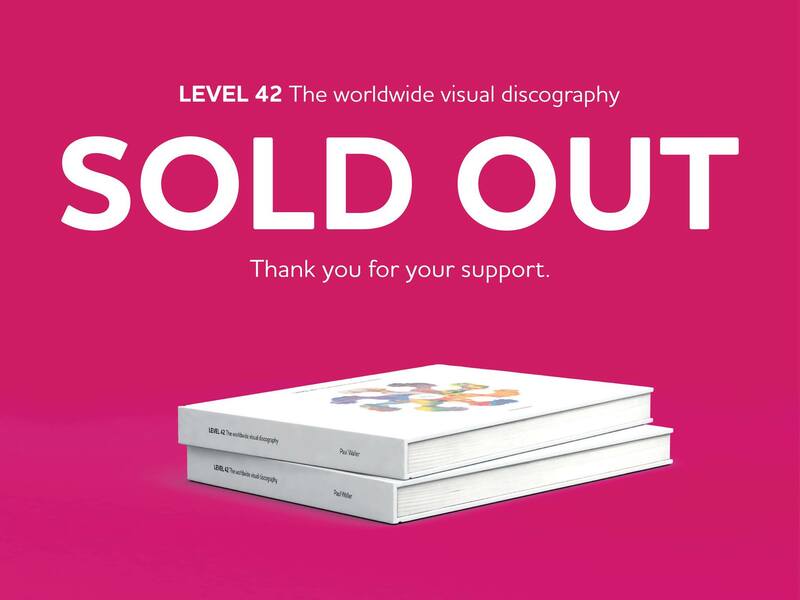 Level 42 – The worldwide discography SOLD OUT! A unique new book from Level 42 collector, Paul Waller, officially authorised by Mark King. The first of its kind. Covers the worldwide discography from 1980-2017 in incredible detail. Presented in soft touch matt hardcover, with 170gsm silk inset. 272 pages featuring over 1,200 photographs and detailed release notes. A beautiful looking book and unparalleled guide to Level 42’s global catalogue. Limited to just 500 copies worldwide. £40+P&P. Released 20th October 2017. I’m so looking forward to buying this, can’t wait! Order my copy of this wonderful book. Paul Waller as done a fantastic job. Can’t wait to receive it. We need more books about Level 42. I did not know about this. I have been a huge Level 42 fan for many years. I sure would like to somehow procure a copy! So happy to be getting this awesome book .. ! It will be a teasure :)) !! Absolute a great job!!! Well done Paul. Damn! Missed out, live in Melbourne, Aus and just saw this now…there has to be more coming? Ready for aan other 500 copies ……. just missed this great book 😂. Sold out in 1 day or so ? When will there be a reprint ? Hi guys, thanks to everyone who ordered. If you missed out please drop us a line at level42book@gmail.com as we have a waiting list. If anyone who has reserved a copy withdraws their reservation we’re reallocating books to people on the list. I’d like to think at some point we can do a softcover edition too, but I can’t guarantee it. Best, Paul. 500 copies? What’s he thinking?